If you have someone or any website troubling you by sending unnecessary emails to your box regularly and you want to stop them, then I am happy to inform you that you can block those unwanted emails from reaching your Gmail box. You must be asking how right now but not to worry you will differently get an answer. Before I show you how to block those unwanted emails I will like to ask why you want to block them, Are you not interested in those news, Gist or latest products and services? I personally subscribe to newsletters to stay informed because information matters a lot to me and even if the message is more of marketing I still don't care since I can ignore it once am not interested but despite my interest, I still get tired sometimes. 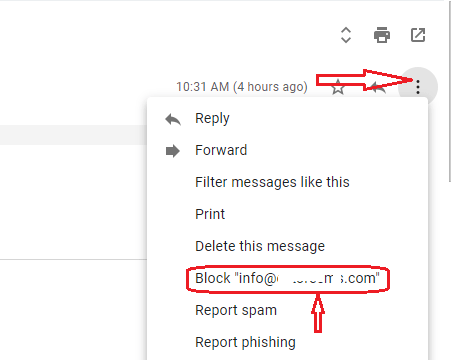 When you are using Gmail, it becomes so simple to block or send those unwanted emails to spam with ease but trust me if you haven't checked you will not know how to do it. However, I was provoked today when a website I registered with keep sending messages that I don't wish to see and yet they don't have any option for me to unsubscribe from the newsletter. For anyone to send a newsletter without an option to unsubscribe is a serious offense generally but I had to look for an alternative means to block them from sending me messages. As I said earlier blocking those irrelevant emails is very simple but if you don't know how then follow these simple steps below. 1. Login to your Gmail account and open any mail from the sender you wish to block from sending you any further messages. 2. Look at your right-hand side and see three vertical or horizontal dots, click on it to see more options. 3. When you look at the options you will see Block example@.com, click on it and you will never receive any mail from such address again. that's it. I checked to be sure that it's the same process with my phone but things seem to work differently when using a mobile phone whether chrome or Opera mobile. However, I used Chrome and Opera mini to check it but I don't find any option to block the address instead I see the option to report it. 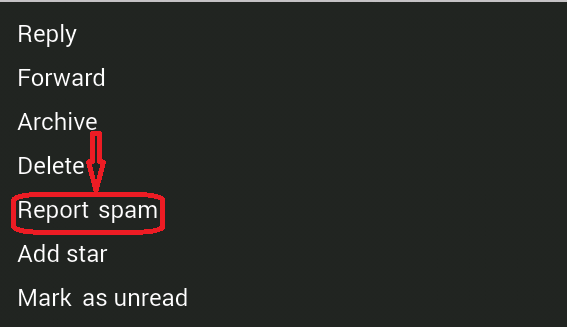 When I tried reporting what happened is that the mail was moved to spam and any message from the same sender goes directly to spam anytime they send mail to me. Great example will be to show how to even block something not by exact e-mail but the set of rules that something like set you set (sorry for repeating words) will never reach your e-mail box. But I think it's the job of spam filter developers. What do you say ? We had such softwares in past now google doing it's job, correct ?